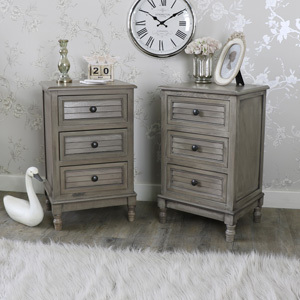 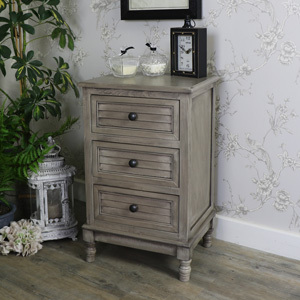 If you love vintage, rustic style furniture with French inspired details, the Hornsea Range is for you. 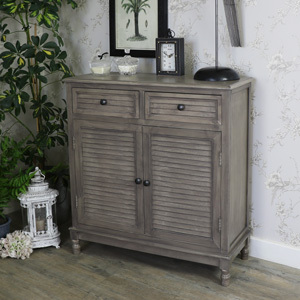 The Hornsea Range is a wooden selection of vintage style furniture with louvre slatted front detailing, rounded brass handles and a painted taupe finish. 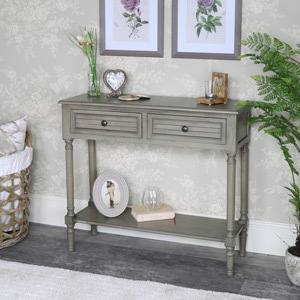 The Hornsea Range is ideal for lovers of rustic or vintage style interiors who are in need of some simple yet stylish furniture for their living room, bedroom, dining room or hallway. 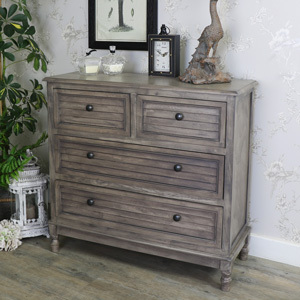 This furniture collection includes a 2 drawer console table, a 3 drawer bedside table, a half-moon table, a round side table, a 4 drawer chest and a 2 drawer 2 cupboard storage unit.